Today saw another exciting day. 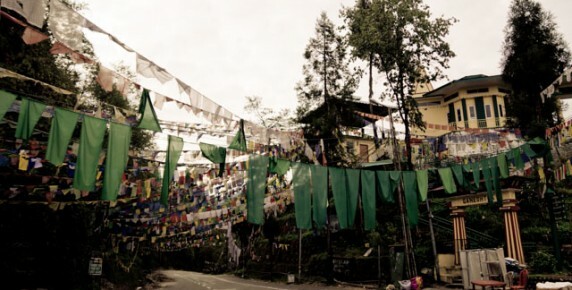 The course run by the newly trained faculty entered its second day; Vinita made an appearance on All India Radio; we were given newspapers and footage from the news broadcast on the local TV station featuring the CALMED inaugural day; and Sangeetha unveiled her new low-cost substitute for episiotomy training. Our trained faculty is now, for all intense and purpose, independent. By mentoring them closely but supervising them at arms length they have nurtured their own teamwork, developed their own leadership qualities, and are able to adapt to the shifting needs of their own trainees. Although we taught them in English, when they are teaching their own trainees they are doing so in a combination of both English and their own local language. This is sensible, efficient and culturally relevant. Mrs Tilt has become Mrs Tedhi, and they have already tweaked our – now their – lectures. 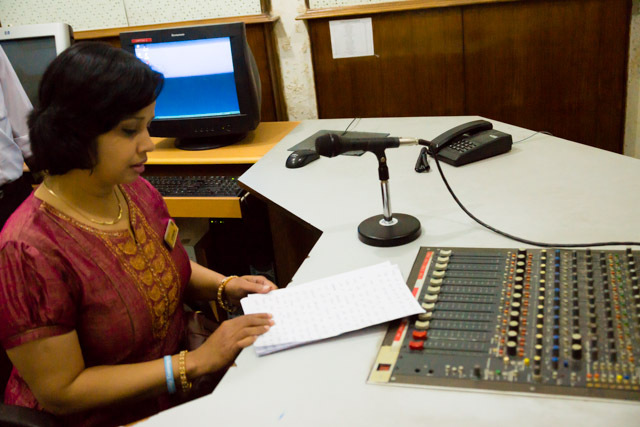 At lunchtime, our new MaTI member Vinita, along with one of the newly trained faculty, went to the local studios of All India Radio (the equivalent of the BBC) to pre-record a feature in Hindi after we had been invited to talk about the CALMED programme and our work in Sikkim. At 19.05 we all sat cramped up in the car of one of our hosts and listened intently to the mesmerizing words delivered by an unfazed Vinita poring out of the speakers. Although Haider and Ippokratis couldn’t understand a word beyond CALMED, VTT, Doctors, ASHA, England, Sikkim and a few names, we were assured by our Hindi speaking contingent that it sounded great. We just had to take their word for it! The publicity of CALMED however does not end there. We found out that in addition to the features run by the two local newspapers the day before we arrived, they had also printed articles about our inaugural day and the message of support bestowed upon the programme by the Health Minister Mr DN Takarpa. 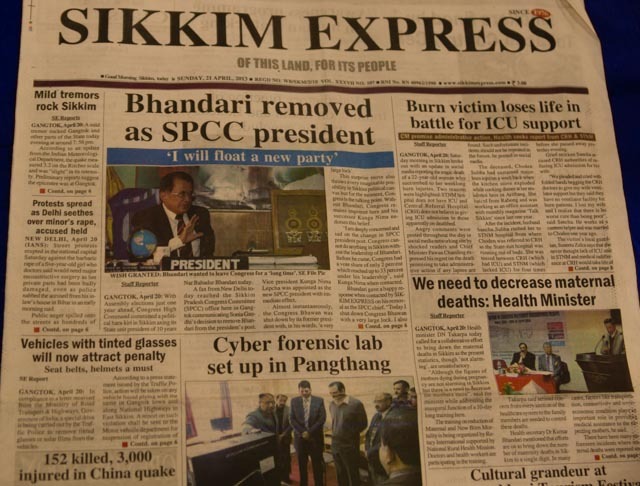 In one of them (Sikkim Express) we even made the front page! This is very important for if we want our work to be sustainable it needs the support of the local stakeholders, such as the government. That is why the CALMED model has three prongs: training the trainers; training traditional birth attenders and community health workers; developing women’s group advocacy. The first part of the programme has already been achieved. On day 9 of our programme we will be teaching ASHA trainers (Activist Social Health Assistant), ANMs (Auxilary Nurse Midwives) and LHV (Lady Health Visitors). On the final day, day 10, we will be meeting with local women’s groups to enlist their help and then discuss their involvement and development of an advocacy role by them. The aim of this is for these groups to promote issues such as women’s education; further professional maternity training; advocate for resource allocation; and give a voice to women so programmes such as the CALMED one do not get neglected. As a final surprise, we were given footage of the local news. 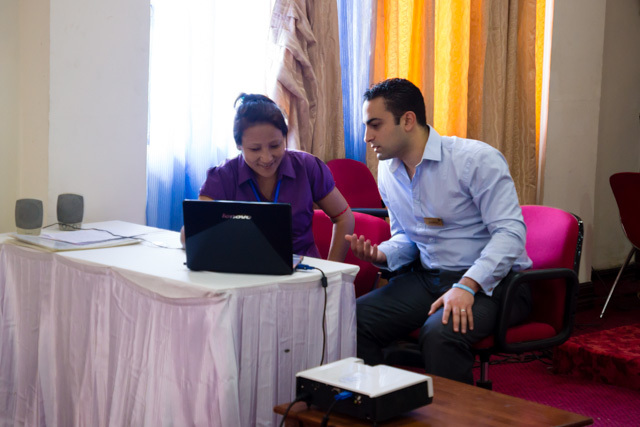 Our inaugural day had been filmed, but unbeknown to us, segments of it were broadcast by the local TV network – Nauyma TV – both in the Nepali and in the English language version. The original clip was aired on the 8pm main news, and it was then repeated the next day at 8am and 1.30pm. Here at MaTI, we always try to innovate and think about ways to improve what and how we do things in our effort to bring high quality material to low resource settings. 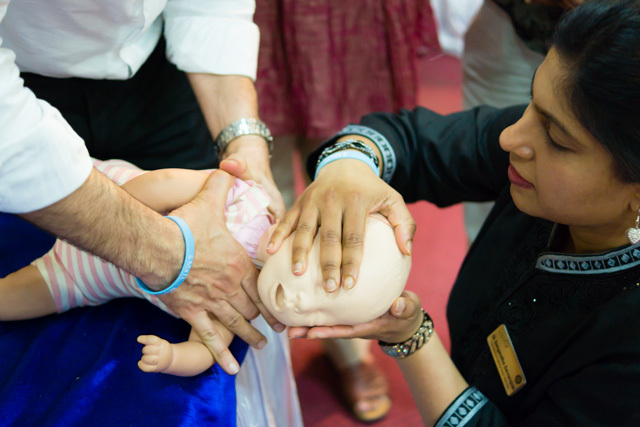 Alongside state of the art audiovisual material, we are acutely aware that nothing can substitute hands on practice. With this ethos in mind, Sangeetha developed a novel model for episiotomy training using low cost material sourced locally. Cost of episiotomy repair kit bought in the UK: £200; cost of episiotomy repair kit that Sangeetha created: 200 rupees (£2.5); simple yet effective ideas: priceless. 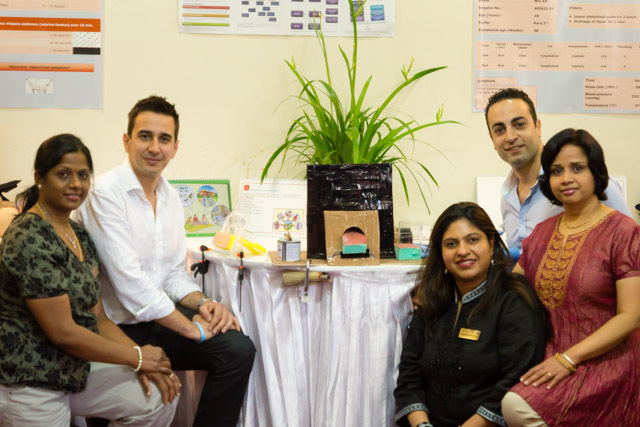 The “blue-prints” of the design are with the faculty and they have already put it to the test. Disappointingly, yesterday’s pledge to stay off the gulab jamun failed when at lunchtime the very friendly staff at the hotel had it freshly prepared just for us. The fight that our guilt put up against our stomachs went as far as consuming only one portion each. Round one of this battle goes to food. 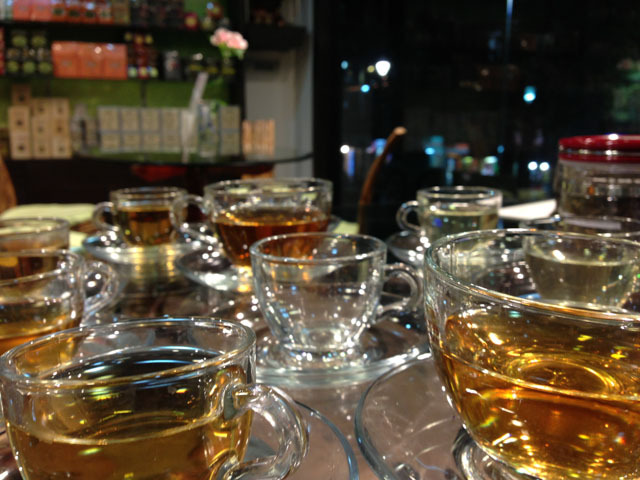 Haider and Ippokratis decided to go back to the teashop previously visited for more. We again consumed in the late evening tea that amounted to the equivalent of an industrial dose of diuretics and stimulants. Despite being dedicated trainers, one thing we could agree on; some people just don’t learn!